Lone Wolf Cigar Company | Super Bowl or Super Cigar? You are here: Home / News & Events / Blog / Super Bowl or Super Cigar? Heading to the Lone Wolf Cigar Lounge shortly to see the Pats hopefully win. Still not decided what cigars to bring to the event. However, here is a smoke that for many has Super Bowl winner all over it. Solid feel without any plugs, striking chocolate brown wrapper and depending on the light it has different hues. Small veins are noticeable but not really a fault. The cigar band is simple and very classic looking. The first initial third was a smooth medium experience with a mix of pepper and earthy overtones. 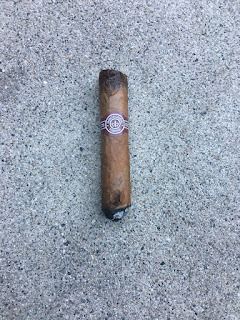 The description was similar to other Cuban cigars I have tasted. Experienced cigar smokers enjoy this, novices might not. Aroma is so subjective I rarely blog on this aspect but in this case, the aroma was very farm like. The burn was slow, methodical without any hot spots or large problems. However, I did notice an uneven burn in the second third of the smoke. It managed to self correct so overall, it did not cause much impact in the overall enjoyment of the cigar. 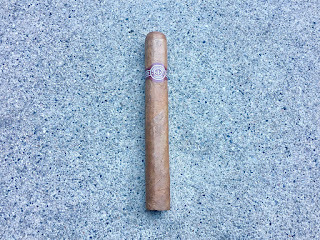 The Monti #4 is reputed to be the best selling Cuban cigar in it’s inventory. It has been a staple for many years and this is very understandable. For cigar smokers, this is what is thought of when you think of Cuban cigars. 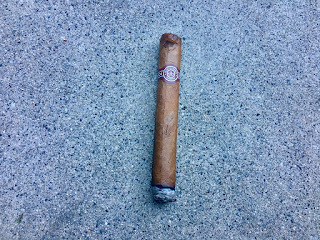 It never fails to bring satisfaction, but as a representative of a truly outstanding cigar it is not quite there. This is a lack of overall complexity which I think is the result of it’s small size, not of any deficient quality. Otherwise this is a top line smoke. If this is available in your cigar world, always have them in your staple. Of course availability may hinder this but as Cuban cigars are somewhat more available, I think you can score them. *Credit: Frank “Bo” Gerechter, The Urban Fishing Pole.